An extensive range of highly refined Guar Gum Powder is brought to the clients at highly reasonable rates. 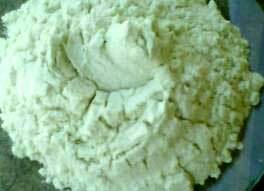 This variety of Guar Gum Powder has certain distinct qualities and can be used in various industrial uses. Jodhpur of Rajasthan is the main manufacturing place where we are having our main office and we procure Guar Gum Splits for these Guar Gum Powder Manufacturers. Customers highly appreciate our work of Guar Gum Powder for transparent & fair dealing. Why Our Guar Gum Powder?